American Tank Co., Inc is a leading supplier of ASME Tanks and ASME Pressure Vessel systems for a wide array of uses and job specific applications such as Hydro Pneumatic tanks, Air / Surge Arrestor tanks, Thermal Expansion tanks, Receiver tanks, Vacuum tanks, ASME Water Tanks, ASME Hot Water Storage tanks, and numerous other ASME Pressure Vessel uses. Stock and custom size ASME Water Tanks are available from 2 to 20,000 gallons. ASME tanks can be designed for full vacuum or working pressures up to 1,000 psi. 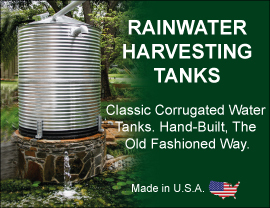 All ASME certified tanks are designed and manufactured to the latest edition of the ASME (American Society of Mechanical Engineers) and stamped as a code "U" ASME Tank. A typical ASME Water Tank would be fabricated from plain steel with an epoxy lining. ASME Water Tanks can also be glass lined. Custom ASME Pressure Tanks and other custom ASME Pressure Vessels can be constructed from Stainless Steel. We also supply non - ASME water tanks and pressure vessels for non- code applications.